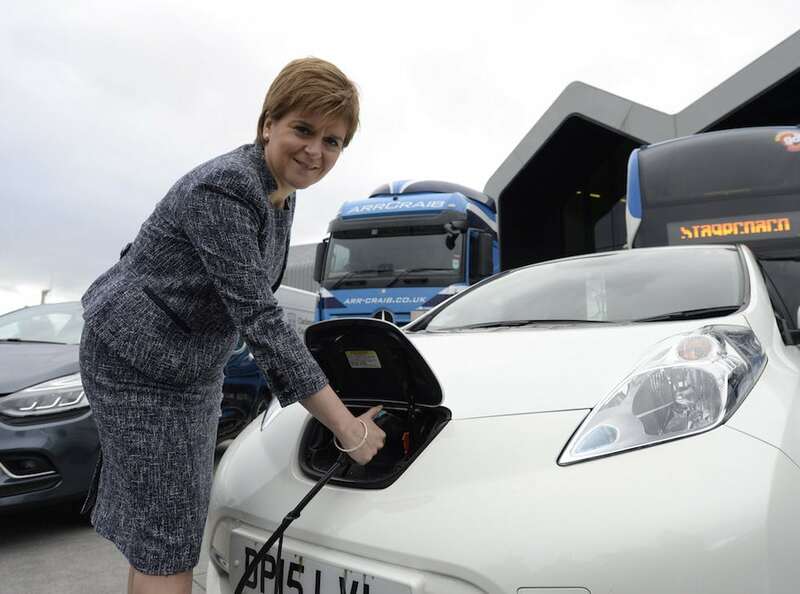 First Minster Nicola Sturgeon was at the Riverside Museum, Glasgow, Scotland, to launch a £60m innovation fund to develop a low carbon infrastructure, such as electric battery capacity and electric vehicle charging in Scotland. The Scottish Government wants to end all diesel and petrol usage by 2032. The First Minister said: “For centuries, Scotland has been home to many great inventions and I want this technological innovation to be renewed for the future. I want us to be world leaders in developing new low carbon energy technologies and embrace social changes that will reduce our emissions. 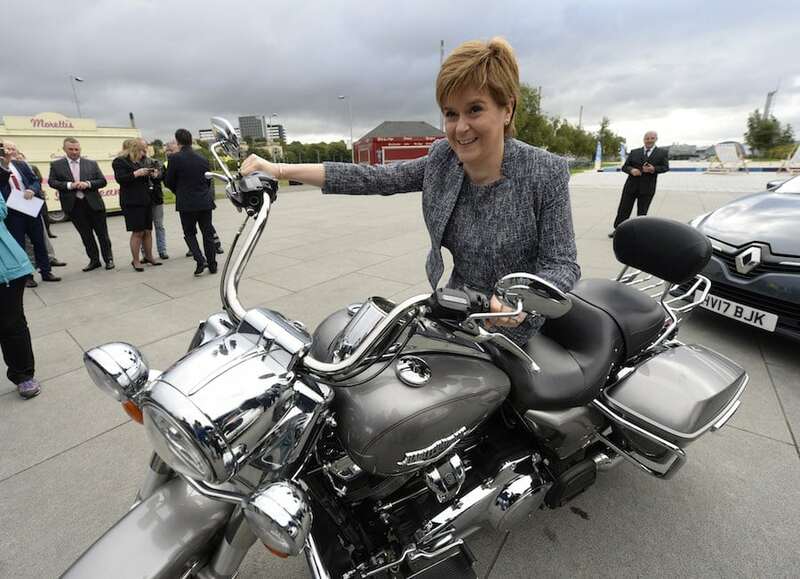 First Minster Nicola Sturgeon at the Riverside Museum, Glasgow, Scotland, to launch a £60m innovation fund to develop a low carbon infrastructure, such as electric battery capacity and electric vehicle charging in Scotland. September 6, 2017. The Scottish Government wants to end all diesel and petrol usage by 2032. 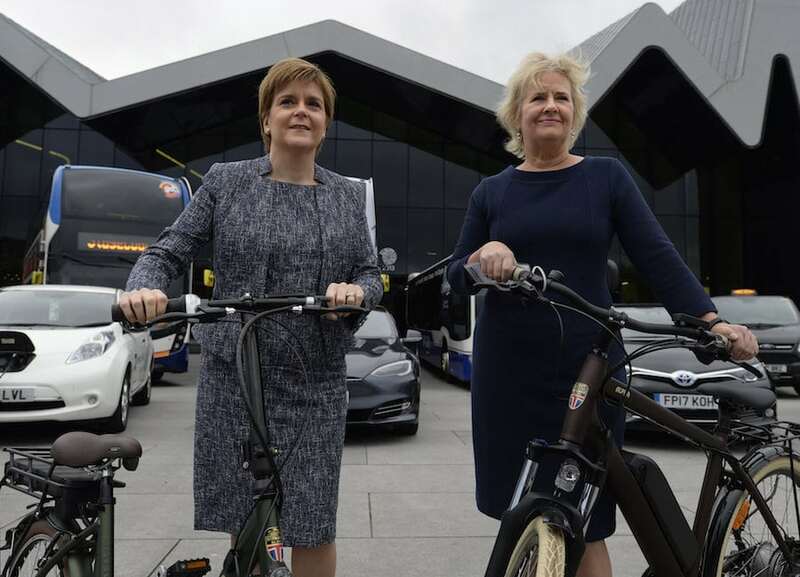 First Minster Nicola Sturgeon, with Roseanna Cunningham Environment Secretary, at the Riverside Museum, Glasgow, Scotland, to launch a £60m innovation fund to develop a low carbon infrastructure, such as electric battery capacity and electric vehicle charging in Scotland. September 6, 2017. The Scottish Government wants to end all diesel and petrol usage by 2032.